The internet is a very vast playground . It has its advantages and disadvantages . Talking about disadvantages , The internet has become an addiction with children’s and teenagers , Most of them are unaware of their addiction and spend a lot of time surfing online on various sites . For parents who are concerned about their childrens we have a simple solution to block websites on your computer . lets check out two of the most effective ways to block websiteson your computer . 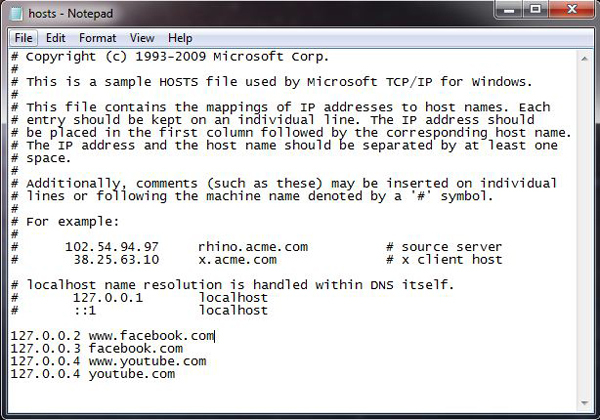 The first method to block websites is by editing the Windows hosts file . How to block websites by editing the Windows Hosts file . 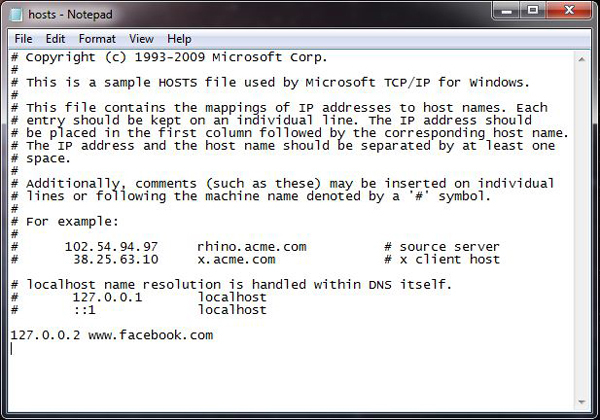 The location of the windows host file depends on your operating system’s version . 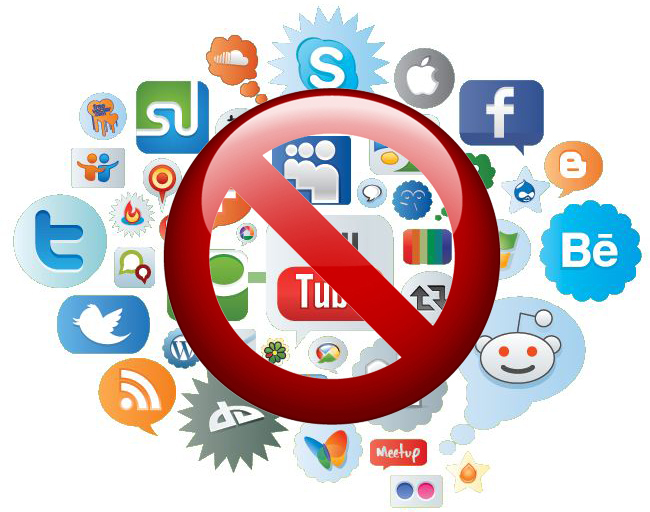 Follow these steps to block websites with this method . For this method we will take Facebook as an example . Open the hosts file using the notepad or any text editor . Add a line “127.0.0.2 www.facebook.com” under the “127.0.0.1 localhost” as shown below in the screenshot . Since this method blocks the exact url address you entered in your hosts file . you also need to add another line incase somebody enters facebook.com without the www “ 127.0.0.3 Facebook” . take a look at the screenshot below for reference . If you want to block more website then you need to add 1 to the internal ip ( 127.0.0.1 ) and specify the website URL address right next to it with a space . Lets add YouTube to the list of blocked websites . For that we will take “127.0.0.4 YouTube” and add it to the hosts file . Save and replace the hosts file in the etc folder without any extension . No open command prompt by pressing Windows + R key on the keyboard . 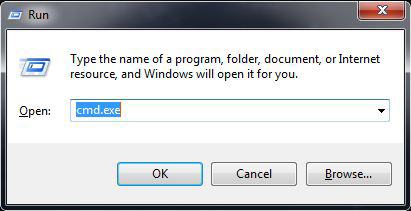 type “ cmd.exe “without the quotes in the run window and press enter . 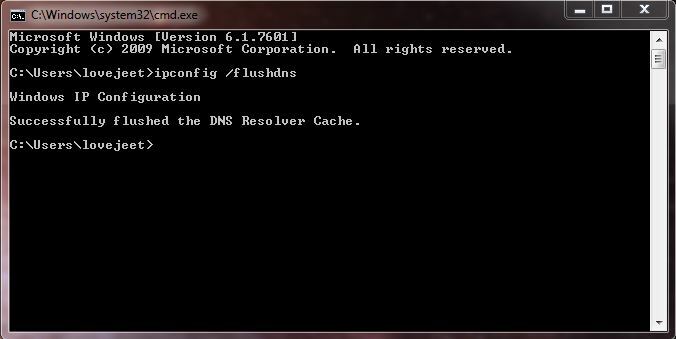 In the command prompt type “ ipconfig /flushdns “ and press enter . Now we have successfully blocked facebook and youtube access from your computer . Reopen any web browser and enter facebook’s url address to confirm . Now the websites specified in the hosts files are blocked . If you want to unblock the websites again , simply delete the entries you made earlier and save the hosts file . But if your childrens are tech savvy they can easily edit the hosts file and unblock the blocked sites . Lets check another method which should not be accessible by your tech savvy childrens . Further using this method of blocking websites lets you implement the block on multiple devices connecting through your router , which means your childrens cannot access the blocked sites on their cellphones and laptops too . How to block website using your router or modems configuration settings . First of all you need to know your router’s login username and password to block websites with this method , The login username and password differs for various manufacturers . Visit Routerpasswords and select your router manufacturer to get the login username and password for your router . Since various routers have different interface we cannot show you how to configure every router to block websites , here are the basics steps that are similar with most routers . on the login prompt , enter the default username and password of your router . For some routers the default login details are ( username: admin , password: admin ) or ( Username: admin and password: password ). If these doesn’t work then check out routerpasswords.com for your routers login details . Restart your router for the settings to take effect and block websites . You might want to have a look at your Router’s instructions manual which will have the brief descriptions to block websites . Try out the above steps and do let me know of any problems you come across when you block websites . i would reply to your comments as soon as possible .